Introduction: A global leader in the automobile industry wanted integration capability for their organization. Challenges: The challenge for the client was to have a reliable cloud-based platform for rapidly integrating cloud applications. 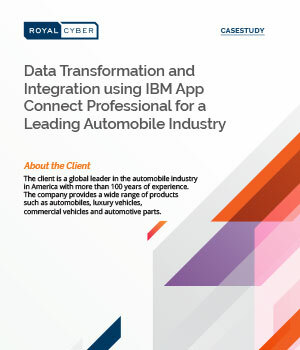 Solution: Royal Cyber implemented the middleware/integration solution using IBM App Connect Professional.